The Jordan Of Mars Low was released in another promising colorway that will surely catch the attention of Jordan shoes enthusiast. This hybrid model is now available in a popular “cement grey” edition, officially listed as the Cement Grey/White-Black-Fire Red colorway. 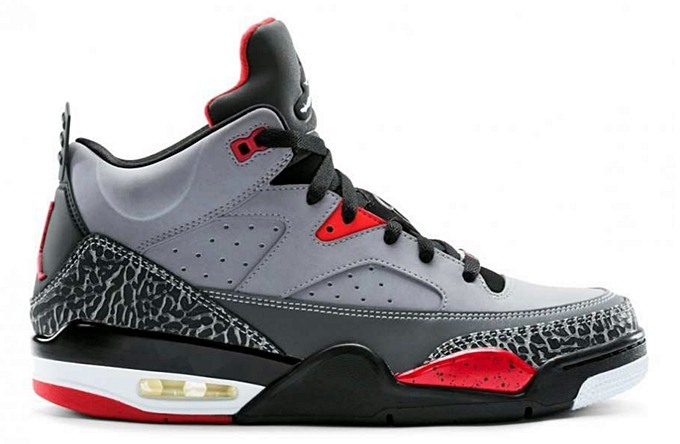 The silhouette features a cement grey-based upper with touches of black and red accents, forming an eye-catching look. This could be yours for just $140 per pair so make sure to get your hands on this kick!